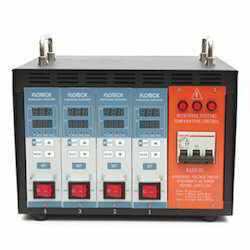 Leading Manufacturer of temperature controller, electrical temperature controller and industrial temperature controller from Chennai. We have gained recognition as an eminent enterprise, devotedly engaged in offering a broad range of Temperature Controller. Backed by a team of experts, this controller is designed using optimum quality components and advance technology. Our offered range is precisely designed, in order to meet the international standards. Furthermore, this range is availed in various specifications, as per the varied needs of our valuable clients. Our range is stringently tested on various parameters to assure it on counts of quality. 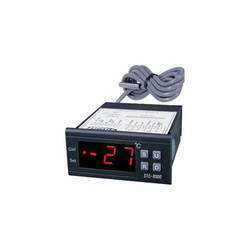 With the constant support of our dexterous crew of professionals, we are fulfilling the varied requirements of clients by offering optimum quality Electrical Temperature Controller. These controllers are robustly constructed using high grade raw material and advanced techniques. To meet the diverse requirements of our esteemed clients, the offered range is available in different sizes and specifications. 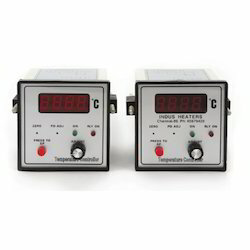 Available with heat control and cooling controllers our temperature controller s offer accurate measurement of temperature. As a quality-oriented organization, we are focused to provide our clients excellent quality Industrial Temperature Controller. These controllers are manufactured by our skilled engineers using high grade raw material. The offered range is available in different designs and other related specifications, in order to meet the variegated expectations of our valuable customer. Our provided controllers are rigorously tested by the team of our professionals. Furthermore, our clients can avail this range from us at market leading prices.